Hospitals! Have You Heard of AudibleRx? As a pharmacist I have been extremely concerned about the subject of care transitions for a long time. When a patient moves from a hospital to home there are all sorts of potential problems – especially when it comes to understanding some of the new medications they might be starting. It is not unusual for a patient to be admitted to the hospital on no medication and to be discharged on half a dozen or more. The challenge we face as hospitals and pharmacists is finding the right time and setting to educate patients about their new medication. Printed material is often inadequate. And even verbal communication, while helpful, can be quickly forgotten. This is especially true if the patient is distracted and does not have the opportunity to learn about the medication at their own pace. That is why I love what AudibleRx is doing. I was able to speak to pharmacist Steve Leuck, President and Founder of AudibleRx, about what AudibleRx is up to and how they developed their product. Have a seat and listen in on our conversation! So, Steve, can you tell my readers a little about how AudibleRx got started? In the United States, 36% of adults (approximately 115 million) lack the required health literacy to read or act on prescription labels, patient handouts, to understand or act on pharmacist counseling or to convey their needs to the pharmacist. Low health literacy is associated with poorer health outcomes and higher hospitalization and mortality rates, as well as an increased risk of medication errors. AudibleRx was started with the intention of bridging the medication-education-gap that exists between patients and their health care providers. We have found, that in order to help bridge this gap, a product needed to be developed that meets the needs of those challenged with literacy. The beauty of this particular product is that, even though it is accessible to those at or below national literacy levels, it also meets the needs of providing useful Consumer Medication Information to all individuals. Can you tell us what AudibleRx is providing for patients and health systems today? 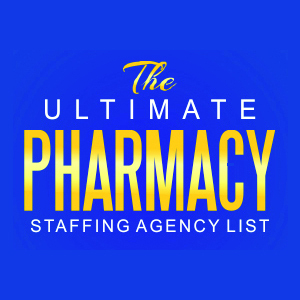 In July of this year, I partnered with Jill Adachi, a pharmacist with 20 years’ experience operating her own health care staffing company as well many years managerial experience. With Jill’s expertise of running a business, we have begun the process of re-writing and re-recording our current library of nearly 300 consumer medication information (CMI) sessions to meet the federal health literacy guidelines. We offer CMI designed to meet specific health literacy guidelines. The purpose is to create Consumer Medication Information that is more pleasing to the reader/listener, while also meeting all of the requirements listed in the FDA Useful Consumer Medication Information guidance document. We want this CMI to be “accessible” to a much larger percent of the population than current CMI options. Our format is designed to allow consumers to “read along” with a human narration of the CMI. When accessed on their mobile device or computer, the consumer will LISTEN to a human voice narrate the CMI of the specific medication. The consumer will then have the option to scroll the screen and “read along” with the narration. The consumer may also “print” the document. A prototype of the product may be found on our website at AudibleRx.com. We expect to have our entire starting library complete, in both English and Spanish, by January 1st, 2017. Our initial library covers the top 200 prescribed medications and nearly 85% of all medications dispensed from an average community pharmacy. When different dosages are considered, this constitutes nearly 1800 different medications. When different generic manufacturers are considered, this covers nearly 5000 different medications. What differentiates the way AudibleRx provides medication information from other communication platforms? First of all, many companies provide consumer medication information leaflets; however, to our knowledge, there are not any companies who provide this information in an easy-to-listen to audible format narrated with a human voice. 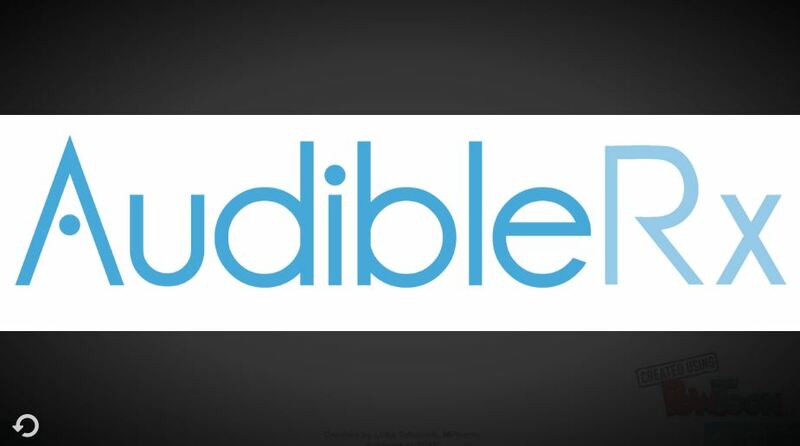 Initially, AudibleRx will be marketing its service directly to institutions. Many studies show that patients with decreased health literacy have more expensive hospital stays and increased numbers of hospital admissions and re-admissions. Our goal is to help these hospitals educate their patients. AudibleRx CMI will be loaded in the back end of the patients Personal Health Record. When a patient opens their Patient Portal, they will see their list of current medications. When they click on their medication the CMI file will open. They will LISTEN to a human voice narrate the accessible CMI and they will also READ along. Meaningful Use 2 states that hospitals will provide medication education tailored to the learning needs of their patients. AudibleRx helps meet this goal. Meaningful Use 3, to begin implementation in 2017, states that institutions will teach patients how to log on and access their patient portal in order to access important medication information. AudibleRx will help meet this goal as well. How can readers find out more about your services? AudibleRx is currently evaluating offers from institutions which would like to participate in a trial. If you are interested, visit our website and take a look at the prototype. Alternatively, AudibleRx will be on the market in early 2017 and ready for implementation. Please contact us at our email and we can set up a phone conversation. I’m grateful to be able to share with my readers this approach to educating patients and how AudibleRx can help hospital prepare their patients for their new medications. 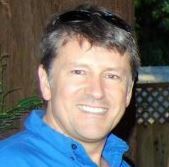 An interview with Steve Leuck from AudibleRx!